One of the largest obstacles you face as a website owner is getting traffic to your site. This is typically achieved by getting as good a ranking as you can, be it Google, Bing, or Yahoo. Most traffic goes through the links on the first page, given how many users don't go to the second page. For that matter, being on the top half of the first page matters too, since many users might not even scroll down. To get the most traffic, you ideally need to be in the top two or three, if not number one. Many search engine users have been using those search engines for decades now, and just blindly trust what's put in front of them. If you happen to be promoting a popular service or product, then your competition might be stiff online. Your website might be going up against dozens, hundreds, or even thousands of others, all jostling for the very same spots. If you want to get a leg up on your competition, then your search engine optimization needs to be finely tuned. It's not as hard as it sounds though, especially if you follow the 5-step process and maintenance tips that experts have provided. Keep reading the following paragraphs to learn more. You might be proud of your current website, and it might already look impressive. However, it might also be the source of your issues. How far down the page does your copy start? 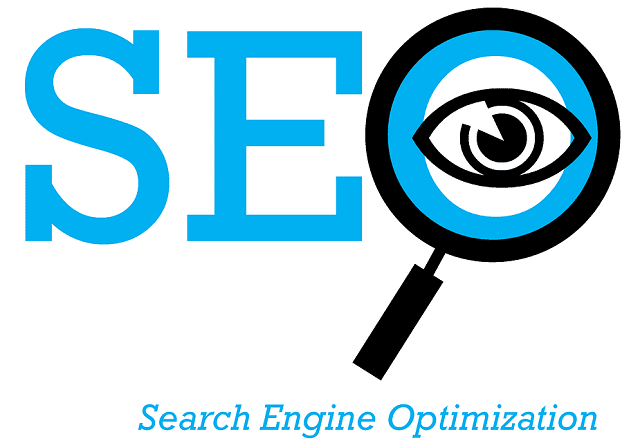 That can make it hard for search engines to figure out what your site revolves around. Are your graphics over-sized or even bloated? That can kill page loading times, which matters more and more in SEO rankings, given how many users are on tablets and smartphones now. Also, watch out for space between lines. Fortunately, these display basics are easily tweaked to make things better. Keyword stuffing might be something you deliberately avoided so you wouldn't suffer penalties, but a lack of keywords can be just as dangerous. Gone are the days where you could just drop these in meta and title tags. Your articles and copy need to have a certain keyword density tool. The central keyword of any page should be in hyperlinks, headlines, and the first paragraph of text. If you want to make sure your site gets recognized, indexed, and positioned properly, then you need to be sure that search engine spiders find not only your site but all of its content when they crawl by. A sitemap helps crawlers and even users find all of your pages by having internal links. Double-down on this by having a navigational menu that has text links, as these are much easier for a search engine robot to follow before identifying every one of your pages. On-page SEO is just as crucial as off-page is. SEO used to be nothing more than a matter of backlinks, especially in terms of volume. However, the game has changed, and if you're in a competitive category, where your backlinks come from matters a lot. Hopefully, yours come from sites with a PR of 6 or better. It's not that hard to get them though. Just put great content on your site that other webmasters are willing to actually link to. It helps their own sites build credibility. Just be patient though; it can take a while for this to accumulate. It goes a little faster if you go out to request links manually. It might sound tedious to put time and effort on quality links over a quantity, but these days, quality is what wins better rankings. Search engines change their algorithms constantly, often without announcing it. So, you have to stay up with things. It's not too hard to do though, as you can find great blogs and forums that post the information you need regarding the most recent changes. Once you've gone through the 5-step expert process listed above from Scott Keever SEO, the one thing you should always emphasize is being an expert in the field your website relates to. That really enhances your success online. Focus on one niche, and be sure that you optimize it not just for traffic, but for consumers who have interest in that niche. Give customers what they need and want, not what you think or hope they want. A blog is a great thing to put on your site if you don't have one already. Search engines love new and fresh content, so a regularly updated blog tells the world your website isn't static and stale. Specific information and innovative content are like magnets to search engines, and the right articles can become shareable content through social media. You can even get more backlinks from this, as well as guest posts and allowing comments. Always be on the hunt for new keywords and search phrases. Your industry or sector likely has a little bit of new jargon every year, as the language keeps evolving. Beating competitors to the punch to a shoulder keyword that's close to what you do but not exactly can mean an opening for high rankings in something new. Always be sure your content is unique and as original as possible. No matter whether you write it or someone else, run it through something like Copyscape to make sure it's not too identical to anything else online. Otherwise, Google will dismiss that page as being a duplicate of something else. One other thing to do is to make sure that your website has a mobile version. Most online growth is happening on mobile devices, and Google, in particular, is really emphasizing this, even more so than desktop traffic these days. The field of search engine optimization is going to change over time, but the process and expert tips listed in this article have stood the test of time and will continue to work for quite a while. I hope you enjoyed this blog post about how your company can learn expert tips for ranking on Page 1 of Google searches via SEO.